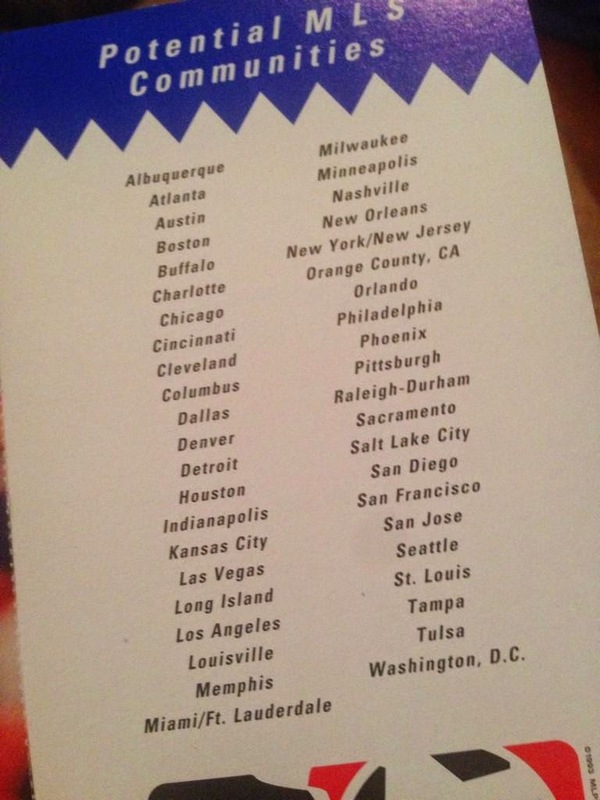 NYC is Blue: MLS to Get New Logo? 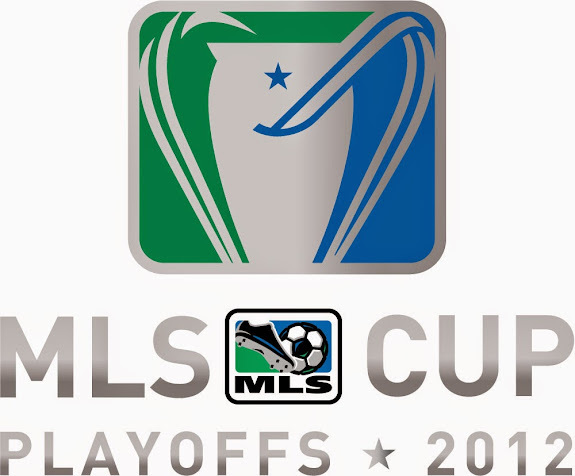 MLS to Get New Logo? Many of us have been experimenting with concept kits for NYCFC. We can play with shirt colors and patterns, but the one thing we probably never considered is that the MLS boot-and-ball logo won't appear on it. Sports Illustrated's Brian Straus is reporting, however, that we have a new league logo to look forward to. So let's look back at the MLS logos so far. The first logo, seen here on a 1994 brochure distributed to potential host cities for the first teams, shows a boot kicking a ball in a very red-white-and-blue color scheme. That's an awful lot of blue and red. Only hockey was bucking the trend. 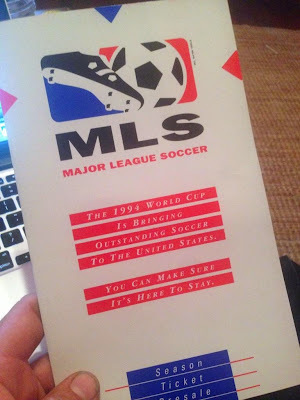 By the time Major League Soccer found its markets and kicked off in 1996, the logo had been tweaked and re-colored in a much more distinctive blue and green. The logo was modified for the 2000 season, with thicker outlines and added definition. This logo has been in service ever since. I think it's more likely that they'd adapt the "Playoffs" version of that logo, which is already ideally shaped for a sleeve patch. Whatever happens, I do hope that they keep the color scheme. Or at least avoid red/white/blue.